"Living with Lisa" is a revolutionary act. An act that can be met with hostility, exclusion and violence. It can also lead to love and understanding, transcendence, and community of a global family. I hope that by being real in truth and light, will help others to empower themselves into stepping into who you are and encourage you to share yourself with those around you. It was during transitioning that I received messages from a proverbial light and experienced a fast spiritual awakening. I truly believe we are all guided by a higher power than ourselves, and by divine angels who show us the way. While I could not solve all the issues at one time, my step towards recovery was therapy. I came into a state of awareness after a life time of chaos, turmoil, experiencing the supernatural. 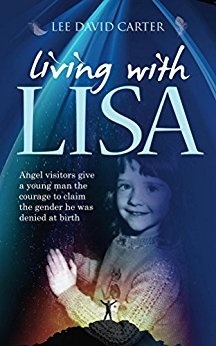 This is the true story of growing up in the wrong body, and the agonising ordeal I endured in order, eventually to escape. Document to Louise Hay - Please Make It Viral Now! I have two letters written in February and March 2012 shown below. Together, they are called a document. This document needs to get to Louise Hay of Hay Publishing. Once this occurs, God will know that humanity is finally ready for major changes to occur on this planet. At this point, NESARA and GESARA will be disclosed to the world. Also, the corrupt will be arrested and replaced with leaders of integrity, fortitude and knowledge in these crucial positions. More important, our Galactic family will join us in the forms that we love including our deceased relatives and pets to help us create a world of love, peace and compassion. There will be free technologies, homes and healthy food for all, necessities for all, money for all, new educational paradigms, closure of the Federal Reserve and IRS and much more. Read the details here and please sign the petition. If you do not have access to Facebook, you are welcome to view the details at this site.